SHorted Reliance Infra at 449, where should i cover? what about tata steel now...? Your view in Bank of baroda entered in 155CE 4.9. CMP 4.4. Should i exit or hold? hello, when can we expect gnfc and murucera to reach new highs? igl i bought at 304.3, what tgt for intraday? Hi vinod, Good morning. it can test 19-20 levels. Hi leonardo decapsicum, murudeshwar is facing strong resistance at 40-42 levels. above this can move higher. 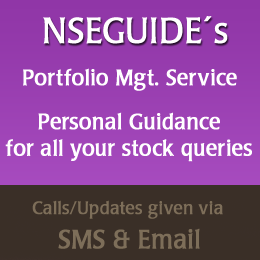 gnfc is a hold for med term. any views on axis bank at 505 now? Hi Sir, can I accumulate GVK Power, Apollo tyres and Maruti for long term at current price?